There was a time when the Italian marque would have scoffed at the very idea of carting around children in one of its vehicles. It came of age producing cars that flaunted their impracticality in the name of uncompromising style and sheer exoticness. 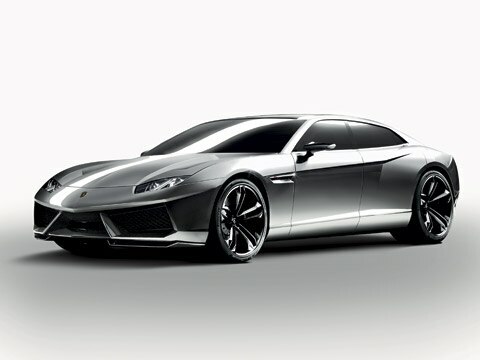 But that’s exactly how Lamborghini characterizes the Estoque, its new super sedan concept. 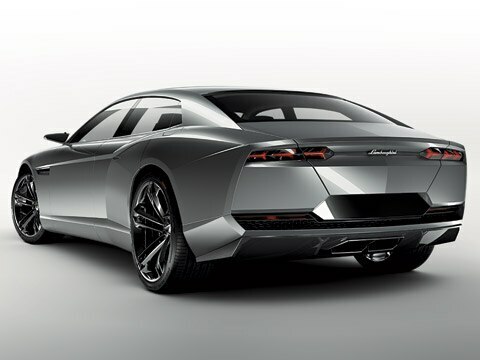 Making its debut at the Paris auto show this week, the Estoque could one day give Lamborghini a volume seller and put an exclamation point on the its successful transformation from a novelty act to a well-run car company. The Estoque, which gets its name from the sword a bullfighter uses to deliver the final blow, balances Lamborghini’s traditional penchant for shock and awe with a newfound concern for practicality. 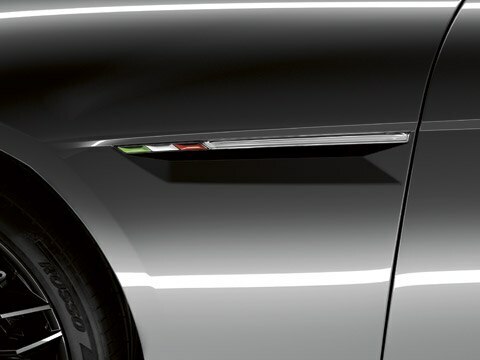 It stretches as long as a and as wide as a Rolls-Royce Phantom in order to ensure comfort for four passengers. 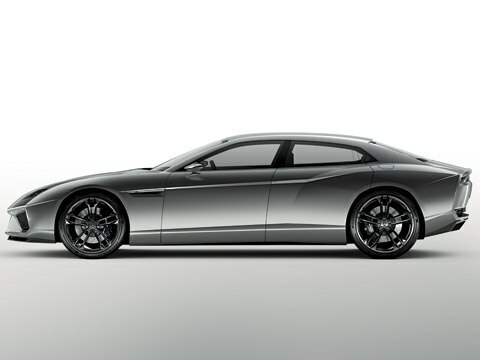 But it sits as low as a Ferrari 612 Scaglietti, creating a dramatic profile unlike any other four-door car. Styling-wise, it seems Lamborghini designers tried to make up for the necessarily more bulbous proportions by refusing to give the car any curved surfaces. Even the wheel arches and gas cap are formed by sharp angles. For the most part, it works. 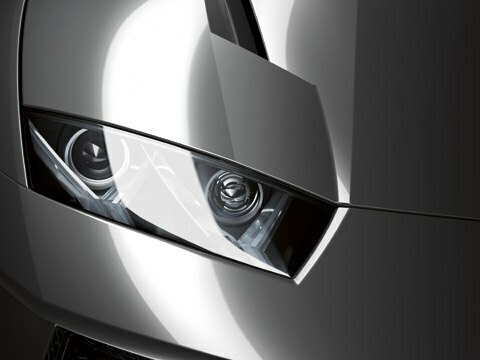 The Estoque looks sleek, chiseled, and distinctively Lamborghini. 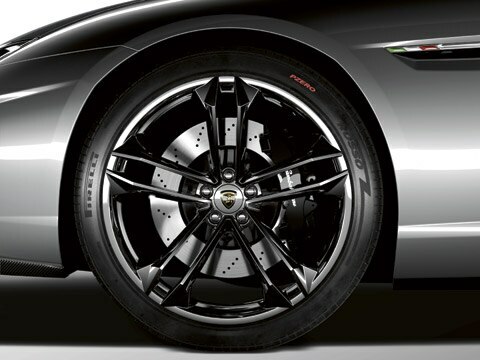 The car’s mechanicals likewise straddle the line between exotic and pragmatic. 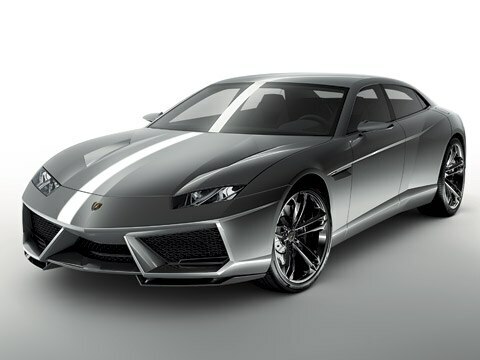 The show car features the Gallardo LP560-4’s 5.2-liter V-10 in Lamborghini’s typical mid-engine layout, but unlike the Gallardo and Murciélago, the transmission is bolted directly to its engine. A production model would almost certainly come with more economical engines. Lamborghini says a V-8 derived from its ten-cylinder is possible and even mentions hybrid and diesel powertrains as options. 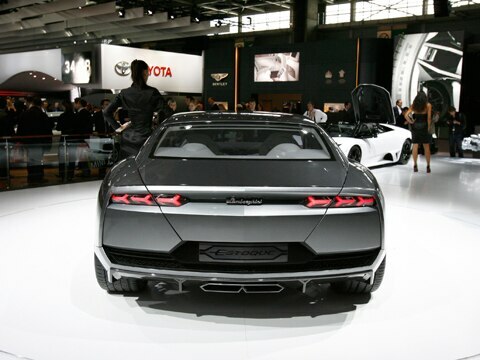 More likely, it would start out with the 4.0-liter direct-injected twin-turbo V-8 Audi has earmarked for the next A8. Indeed, much of the Estoque would need to be borrowed from the Audi parts bin in order to be feasible. It would share a platform with the A8 and the follow-up to the Bentley Continental and would likely get the latter’s massive 15.7-inch disc brakes. The production process would probably be similar to that of the Gallardo, starting out in a German factory, and then traveling to Lamborghini’s home in Bolognese, Italy, for final assembly. Lamborghini indicates it might tweak Audi’s all-wheel-drive system to offer a variable torque split depending on road conditions, and might likewise eschew Audi’s complex double-wishbone air suspension in favor of a simpler, lighter setup. The Estoque also has a full-size trunk capable of carrying golf bags and, yes, luggage for children. 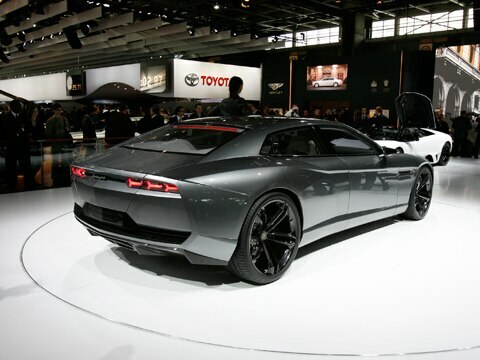 The Estoque’s chances for production remain unclear, but we think that it certainly makes sense for Lamborghini. Like every other premium marquee, Lamborghini fears its market will shrink with the worsening financial crisis, and it needs something with broader appeal if it hopes to keep growing sales volume. But Lamborghini will need support from its corporate masters to make the Estoque a reality. 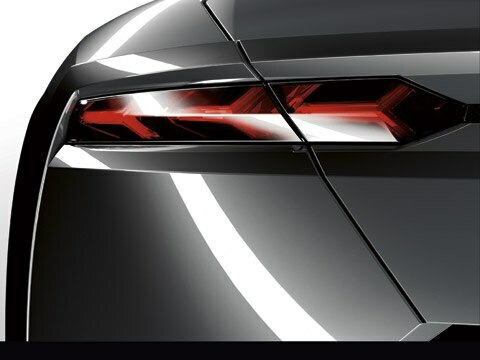 That would ultimately mean convincing Porsche, now in full control of Audi, that it should spend money to develop a direct competitor for its own upcoming Panamera. Nevertheless, Lamborghini has high hopes for the car. It thinks that priced around 150,000 Euros (about $220,000), the Estoque could make up 50 percent of the brand’s total volume – about 1500-2000 units annually. 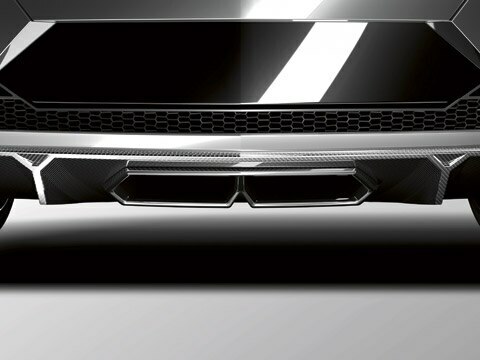 For now, Lamborghini will be carefully gauging the response from the Estoque’s Paris debut. Finally, a third model from Lamborghini – and it’s got four doors.